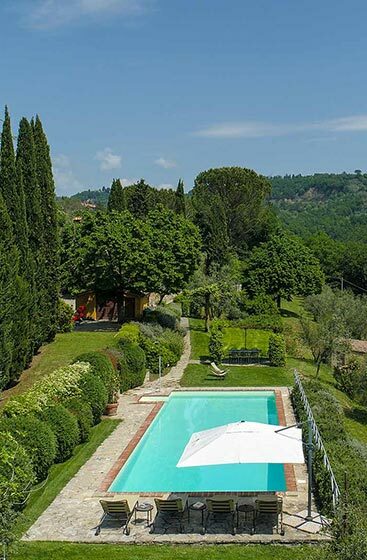 Podere Vigliano, nestled half way between Florence and Rome is situated on 10 acres in the Umbrian countryside. It lies in the heart of Italy on the border of Umbria and Tuscany. 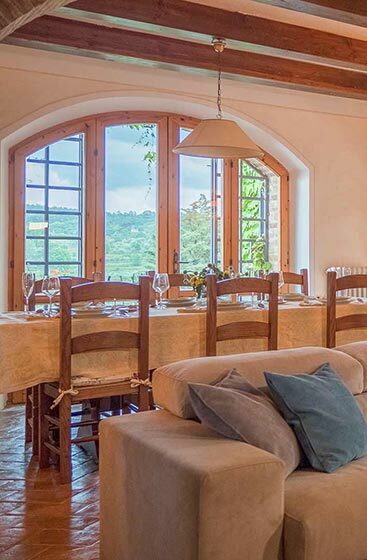 With lovely views from every window, Podere Vigliano is a spacious four bedroom farmhouse with pool that accommodates up to 8 people comfortably. 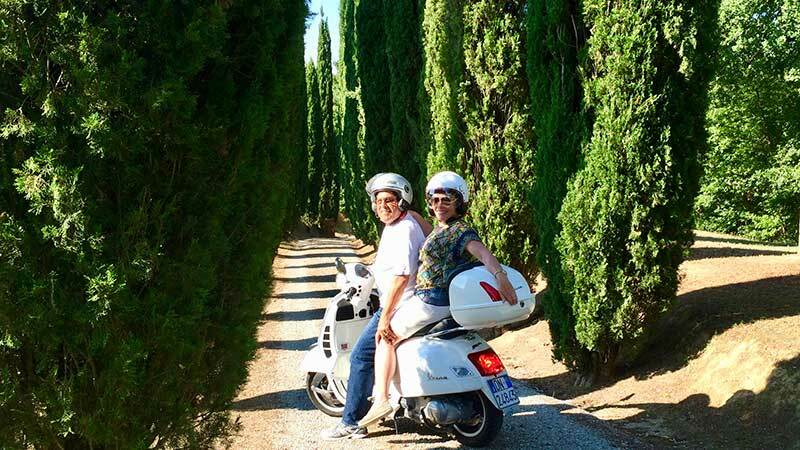 With its cypress-lined entrance, Podere Vigliano beckons you to spend time here. Take a walk among the olive grove, vineyard, fruit trees, oak forest, and manicured gardens, or relax in an easy chair under the pergola. Dine al fresco in three charming locales on the property. Dip in the pool or sit on the terrace, reading, sipping wine, and enjoying the peaceful views together with family and friends. Live like an Italian if only for a while! You may have the universe if I may have Italy”.